Salhouse Lodge stands in approximately 5 acres of peaceful Norfolk countryside. 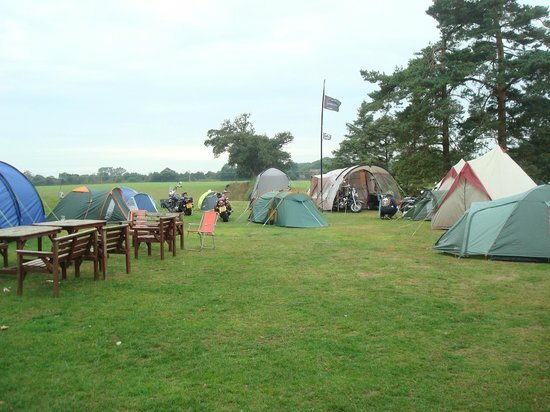 It has a large car park surrounded by green and shady parkland suitable for overnight camping for caravans or tents including a large wooden framed play area perfect for the kids to play for hours on end. Just five miles from Norwich, a city steeped in history with a magnificent cathedral and castle blending in with some of the best arcades and shopping malls in East Anglia. The property sits on the edge of Broadland, only a mile away from Wroxham in an ideal area for exploring one of England's most popular and unspoilt National Parks. The long and varying Norfolk coastline is only a short drive away, making Salhouse Lodge an ideal location for a relaxing short break or more leisurely holiday. With its close proximity to the city of Norwich it is also convenient for those with business trips to the area. Electrical hookup= £15 per night.